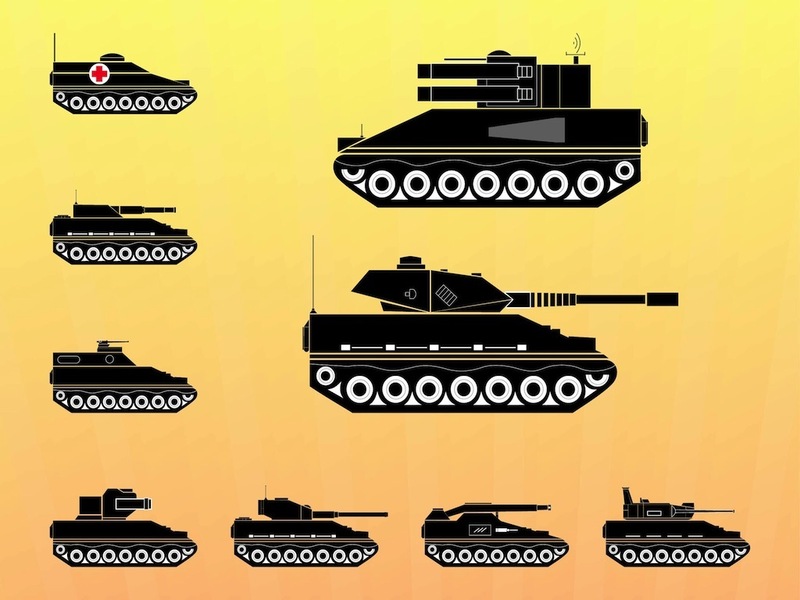 Vector illustrations of different types of tanks. Military vehicles seen form the side, wide variety of designs, weapons and shapes. Tanks with different looks and usage scenarios. Free vector graphics for all war, military, attack, assault, fight and weapons projects. Free stickers and logos templates. Tags: Army, Assault, Attack, Fight, Shooting, Tank Vectors, Tanks, Vehicles, War.